The first go of the NCHA Super Stakes Open continued on Friday with eight sets of horses and riders. Michael Cooper and Matt Miller turned in the highest scores of the day – a 222. Miller set the pace late in the second draw on Metallic Mister, owned by Holy Cow Performance Horses. Metallic Mister, also known as “Brother,” was an open finalist earlier this year with Miller at the Ike Derby and the Cattlemen’s Derby. The flashy red roan by Metallic Cat is out of Smart Crackin Chic, the 2006 NRCHA Snaffle Bit Futurity Champion that went through the NCHA Futurity Sales as a yearling and then to Singleton Ranches through the Snaffle Bit Sale as a 2-year-old. Metallic Mister got his nickname early on as he is a full brother to Metallic Mistress, earner of almost $150,000, and Mistresssis, earner of $165,000. Cooper, who topped day one of the first go as well on Pharrel, spurred his way to another high score on Friday when he showed Judgement Day, also owned by Rose Valley Ranch. Both horses are out of Bet On Houston, by Peptoboonsmal. They currently serve as the mare’s No. 4 and No.5 top money earners. Bet On A Cat leads that group with $386,577 in winnings. Judgement Day is sired by High Brow Cat and Pharrel is by Metallic Cat. 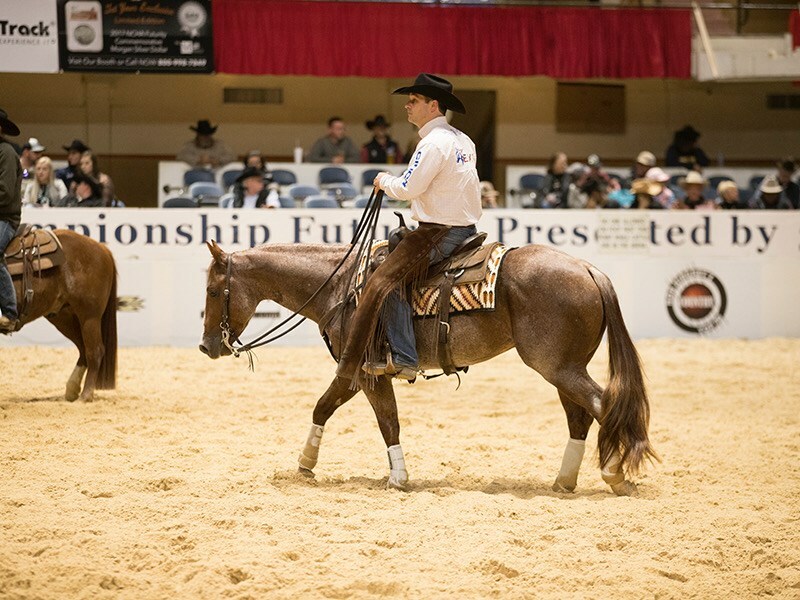 An NCHA Open Futurity finalist, the Judgement Day possesses earnings just shy of $50,000.